Sometimes I find myself taking my husbands needs and desires for granted. I assume he is satisfied with his life and think about how he can meet my needs, but forget he has his own dreams and needs he wants to be encouraged in to. It’s easy to forget that we need to be intentional about how we care and encourage our husbands. Sometimes we can just be at a loss at how we an be a good encourager and how to support this totally opposite human being to us! And its easy to just let days and tasks go by without really giving our husband much thought or effort. But recently I have realized that we cannot forget that our role as a wife is always to uplift, encourage and inspire our husband too! We need to be a supporter to our husband and we can do that by understanding him more. And finding ways to understand the deep and complex man we married. There are lots of ways we can encourage and support our husbands, but these are just a few I have picked up on recently after talking with my husband. 1.You can encourage him by being thankful. I know this sounds simple, but how often do we really say thank you to our husbands. My life is busy with 2 kids and all the things we need to do, as I am sure yours are too. And a lot of the time it is really easy for me to just reel off a list of things I want my husband to do, or more likely complain and nag him about what he hasn’t done! Sometimes days can go by and I realize I haven’t said “thank you” once! The fact of the matter is, its in the simple things, I can just say thank you for doing the dishes, or getting out of bed to pick up the kids. Even when the job is only half done or not done to my standard, I need to stop myself from complaining and rather say thanks! And I need to consciously think about doing it, even when it feels awkward. When we start saying thanks, it may feel awkward at first but once you start showing your appreciation, it will become a habit. Why is it important? because being thankful, not only encourages my husband to help out more, but it ignites love and appreciation between us. And being thankful is also good for me and helps me appreciate the great things about my husband! 2.You can encourage him with your respect.
. I remember one day I was joking with our friends about my husbands exercise routine or lack of it, I was just having fun, but after we got home, I could see he wasn’t happy about it, I realized that wasn’t fun for him. Although he is pretty relaxed and jokes around a lot, my tone wasn’t respectful and I wasn’t respecting him in front of others. I am his number one, his wife and I wasn’t showing him I had the respect for him, which he longed for. I’m sure there are lots of people we respect in life, but our husband should be the number one! Just like we respected them when we first got married, our respect is something that needs to grow and grow, not diminish with every fault we find. 4.Support him in his dreams.We have guardianship over our spouses dreams. Are we going to squelch them, or encourage them? When we look back on our lives it’s not likely that we will regret the dreams we encouraged, but we may regret the dreams we squelched! There was a time when Hiroshi would come to me with a dream or an idea, and I would listen to it and then real of a list of negatives about why it wouldn’t work. Of course some of his ideas were crazy and didn’t work. But it wasn’t for me to decide that, I realized that he could find that out for himself, but if I kept squelching his dreams, I would just be putting him in a box that I was comfortable with and not letting him fulfill his true potential! So I decided to change, that even if I felt uncomfortable when my husband comes to me with ideas, I needed to be the one who is going to encourage him and lift him up in his pursuit of them, not his voice of reason! And sometimes those dreams are going to make a mark on our future or change things around. When my husband decided to start his own business, it wasn’t comfortable for me and I knew it would mean we wouldn’t have a lot of cash for a while and there would be a lot of failures along the way. 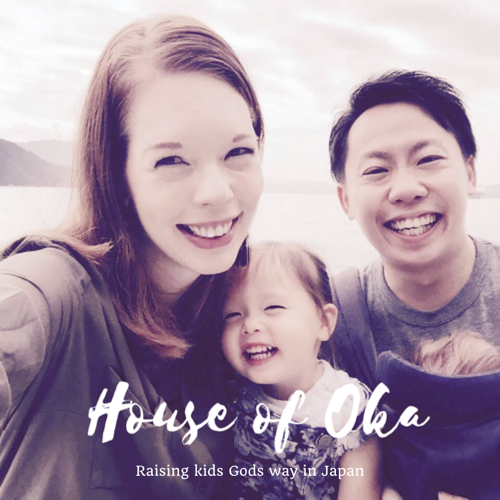 We had just had a baby and I longed for stability, but at the same time I knew my husband couldn’t stay in a job he was sick of, I knew he needed to use his gift and do something big for God! And so I needed to let him go and fly and respond with encouragement! How I respond to my husbands dreams when he tells them over the dinner table, or our morning coffee, is going to determine if the dream will die or continue! How we respond is important! Our husbands dreams are in our hands! Is there anyway you can encourage and support your husband this week? Respect isn’t something he desires that we want to give… it’s obedience to the word of God! Yes that’s so true! Great verse! Thanks Mary! Glad to hear it’s encouraging you Christy! Excited for your new season of marriage! Thanks for sharing your insight, Laura! I especially like points three and four — because those are the hardest for me. I want to be his best cheerleader and believer! Yes you can be Mayo! We just need to be conscious of how we speak and encourage our husbands! Thanks for reading! This is a great reminder, especially #3. Sometime it’s really hard for me to trust my husband to do something because I want to make sure it’s done the way I want it done. I need to get over that and show him that I really do trust him (because I do). Yes, I guess it’s something wives always need to work at developing more trust! Thanks for sharing Ashleigh! I hope your husband notices your effort!